The 21st century virtual reality hype really kicked off when revealed their VR ambitions to the whole world two years ago. Fast forward to the present day and major companies are looking into making VR available to consumers. 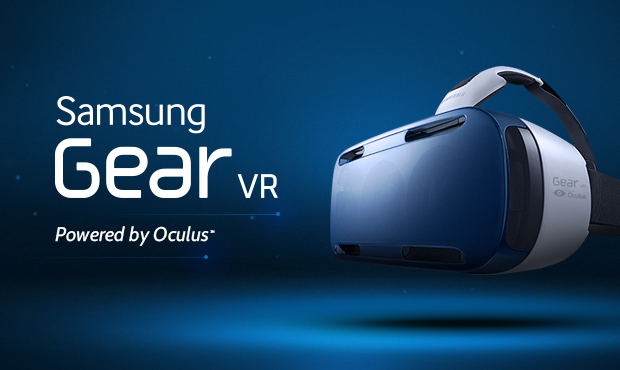 Samsung at its Unpacked event today announced the Gear VR, a virtual reality headset that acts as an accessory to the Galaxy Note 4. The team at Samsung worked closely with Oculus to develop the headset and plan to bring it to the market this fall for an announced price. The Gear VR works similar to Google Cardboard, the Note 4 acts as the main display and power source and its images are transferred to the eyes via a pair of lenses to create the VR effect. The headset offers a 96 degree range of view with incredibly low latency so as to prevent occurrence of any noticeable lag. The device has a mechanism for users to pop in their Note 4 and begin the VR experience. Speakers are embedded into the headset just above the ears. A back button and touchpad are on the side of the device in order to navigate the user interface within the VR world. There is also a scroll on top of the headset to adjust the image produced for different sighted people. Unlike the Oculus Rift, there are no cables connecting any components to external computers so the headset is technically portable. There is also an option to use the phones back camera so that you can continue wearing the headset without needing to take it off. The Gear VR has lots of potential to stir up competition and boost the rate of evolution of VR technology. Possibilities range from awesome games to even 3D movies. At the moment there aren’t many things you can do on it aside from playing some demo modules however Samsung says a content store will be available at launch.